One of the most effective methods on corruption prevention in the public sphere is the strengthening of financial and other control measures for persons authorized to perform state and other functions equivalent to them. Electronic declaration is a powerful tool for preventing and combating corruption, which is needed now for Ukraine as never before. Today, more than 100 countries have electronic declaration systems, and their experience proves the effectiveness of this tool in combating the search for dishonest people. The work of the Register of Electronic Declaration in Ukraine, has considerably expanded the instruments of counteraction and prevention of corruption and allowed to really influence the situation with corruption risks. The NACP is one of the first anti-corruption bodies in the world, which implemented the publication of official declarations in such a large volume, (today the number of reporting entities is more than 1 million people) and has made the progress. Ukrainian society expects that a transparent declaration will lead to the purge of the system of power from corrupt officials in this way, and the mechanism for making special checks of candidates for positions will prevent in future the emergence of corrupt officials in the bodies of justice or state power. And also due to the fact that the content (form) of new electronic declarations, which are submitted to the Register, is extremely voluminous. Full verification of the declaration consists in clarifying the authenticity of the declared information, the accuracy of the assessment of the declared assets, verification of the existence of a conflict of interest and signs of illegal enrichment and may occur during the period of the entity declaring activities related to the performance of functions of the state or local self-government, and also within three years after the termination of such activity. Special examination is making for persons who are applying for positions which involve taking a responsible or particularly responsible position and positions with a higher risk of corruption (hereinafter referred to as candidates for a position) (except cases provided for by law), including information submitted personally. The mechanism for conducting audits is currently the following. The NACP receives an application for verification of declarations from individuals or legal entities, from the media and other sources, as a result of consideration of applications is taken a decision of the verification. As a result of the full examination of the declarations, in particular, the accuracy or reliability of the information specified in the e-declarations is established. In the first case, the decisions are sent to the declarant for familiarization. In case of revealing of insufficient information, the NACP notifies the declarant and the head of the body where the declarant works. 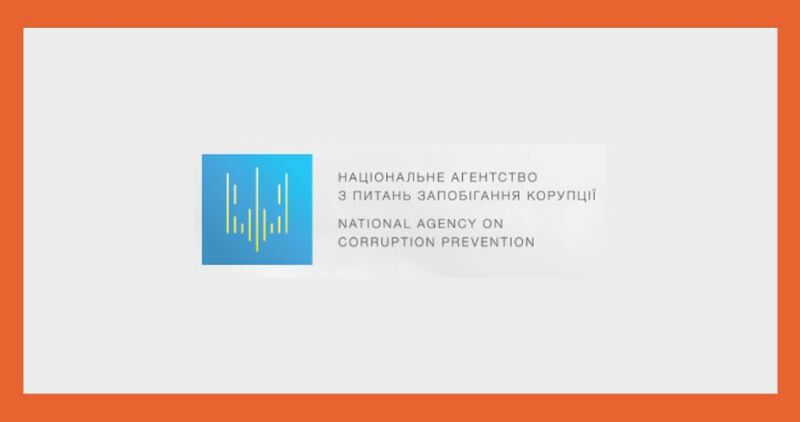 Also, if actions do not foresee administrative or criminal liability, the NACP makes an order or sends the case materials to the special authorized agencies in the field of combating corruption: the National Anti-Corruption Bureau, the General Prosecutor’s Office of Ukraine, and the National Police. In its separate decision, the National Agency draws up and sends to the court protocols on administrative violations. During the launch of the electronic declaration from September 1 to October 31, 2016, 118 043 electronic documents were submitted to the Register, instead of the expected 50,000. In the period from January 1 to April 30, 2017, 1 230 387 e-documents were published in the Register. As of the beginning of October, the Registry registered 1 152 837 users, and the number of documents submitted to the Register is 1 510 529.